Automate your lead generation efforts with personalized multiple Followups. Sync prospect details to Hubspot automatically with a click. Use linkedin search (Basic/Sales Navigator) OR upload CSV to define your target audience. Tool will use same search query for automation. Add automated follow up cadence for those who connected but haven't responded. Set upto 6 Follow-ups messages for each person. 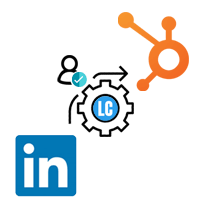 Sync LinkedIn profiles to HubSpot for easy lead nurturing and management. All messages on linkedin also gets logged as activity automatically. Send your connection requests & follow-ups. Automatically, but one by one as if you were sending them manually. Use Blacklist functionality to avoid sending the request to people your teammates are already reaching out. Synchronize Prospect details and activity to hubspot with a click. LeadConnect’s Hubspot Integration gives you an option to push prospect’s details including all the conversation to Hubspot. You can even push details by default as soon as prospect accepts your invitation to connect. Find Business emails with ease. 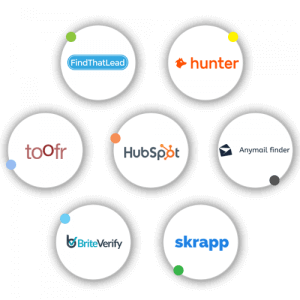 LeadConnect’s Integration with Findthatlead, Hunter.io, anymailfinder etc makes it easy to find email right inside Linkedin interface and lets you push this data to Hubspot easily. This is saving me hours of time. I wish I had this years ago. Really great too. Easy to use and effective for marketing and reaching the right people. Gain access to a free trial of LeadConnect today. 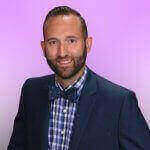 Online Session with A LeadConnect expert.